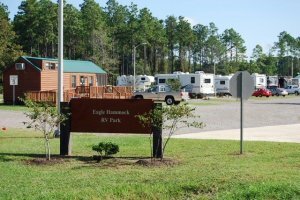 This is a great RV park located on a good size pond/small lake. Took us a while to find it as our GPS kept trying to take us through base gates that were no longer being used. Very clean and friendly and the laundry facilities were free. Strong WiFi.